November 30 , by Stacie Hooder. 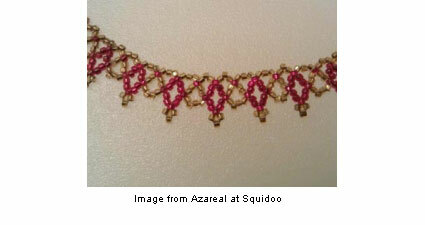 Take a look at this free tutorial for making an easy yet elegant netted necklace. Azareal aka Anne knows chemistry but she also gets a reaction with her talent for jewelry. Take a look at her tutorial for beaded earrings using the coraling technique, too!